An anthology of skeptical viewpoints of European integration has long been missing, yet the need for students to have a spectrum of opinion on the EU has never been greater. As the new European currency's exchange rate plunged throughout the first two years of its existence and the Danes voted against joining up, this reader provides a timely corrective to the dominant view of 'Euro-success.' Exploring the underreported and often mischaracterized 'Euro-skeptic' side of arguments over the goals and methods of European integration, the text presents a selection of the key sources necessary to understand European politics on the ground today. 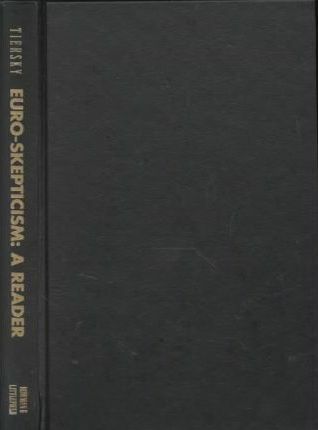 Ron Tiersky brings together here 'Euro-skeptic,' 'Euro-pessimistic,' and 'Euro-phobic' speeches, essays, and other documents that illustrate the range of both mainstream and extremist opposition to the European Union. Balancing against the integrationist goal of federalism, the book gives a full airing to the national sovereignty and national identity-based arguments against union and shows how Euro-skepticism finds a place on both the right and the left.